One of our research Fellows, Kate Mann, was a member of the winning team. 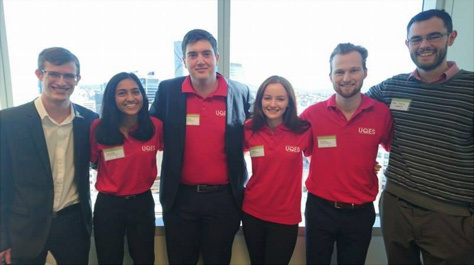 Congratulations to our team of Famin Ahmed, Edward Hogan and Kate Mann for winning the Brisbane Chartered Accountants Australia & New Zealand Pitch Perfectly Competition! The team had a great time interacting with one of our premier sponsors, with great exposure to a number of professional services firms around Brisbane. Thanks to all the support crew that attended as well!